Mountain lions are being forced out of their natural habitat by urban sprawl. This lion killed some domestic animals, which is horrible, sad and tragic, but the lion shouldn't be killed for acting like a lion! It's important that humans take steps to secure their livestock and pets in mountain lion habitat areas. This mountain lion is being studied and is helping determine habitat ranges and population size in the area between Hwy 101 and the ocean. This population could go extinct within 50 years due to inbreeding if no connections to other larger populations are established. Clearly, if we allow members of threatened populations to be killed for acting normally, our conservation efforts are doomed to fail. Reportedly, the National Wildlife Federation has offered to work with the landowner to pay for measures to secure their animals and protect them from future mountain lion predation. The landowner should take advantage of this offer. 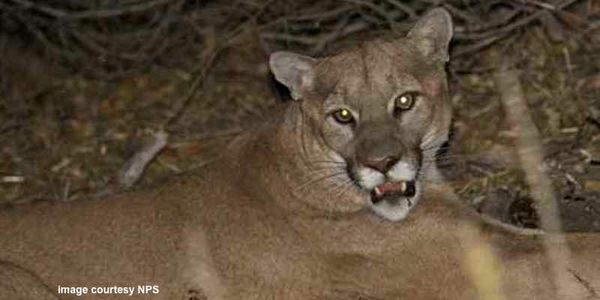 Sign the petition and urge the California Department of Fish and Wildlife to rescind their permit to kill P-45 and urge the landowners to find other solutions! For more information, read this press report.